“A place to help young entrepreneurs and students find cheap workspaces and the right infrastructure for their company foundation” – this is how Andreas Fischer has described Germany’s first student incubator, named “Launchpad”. 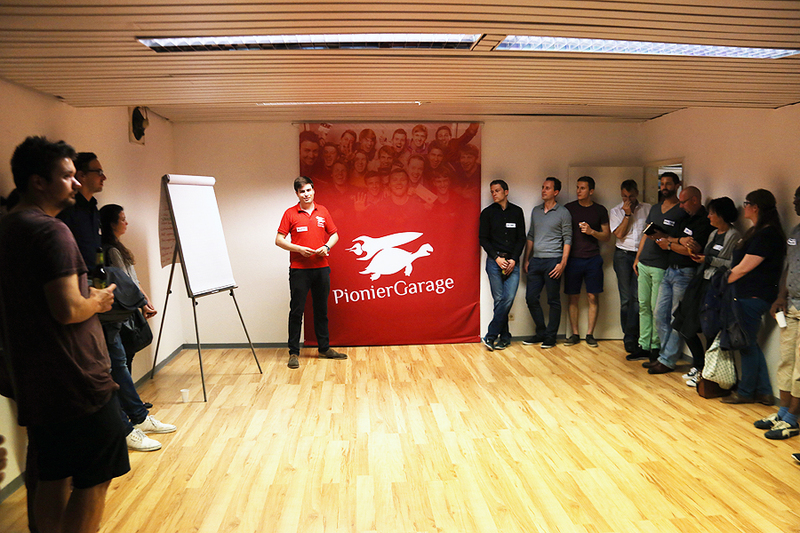 Andreas Fischer is a member of the PionierGarage student group at KIT. He was involved in the planning of Launchpad. A “launch pad” is the starting place of a rocket. PionierGarage similarly aims to provide the necessary starting energy for projects in their early stages of foundation. With its platform sunsteps.org, the company enspire UG supports social projects. When purchasing from one of the many partner shops of Sunsteps, such as Amazon, Zalando, or Thalia, up to 12% of the purchase sum is donated to the selected social project, with just one click and without much effort. There is no catch and the customer doesn’t pay a single added cent. The founding team of Sunsteps wants to make the world a little bit better by enabling anyone to support social projects every day without much effort. 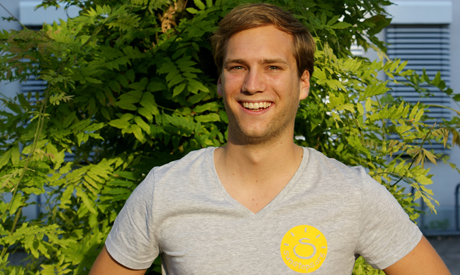 In an interview, we asked Maximilian Brandenburger of sunsteps.org about the idea, the startup time, and the future prospects. 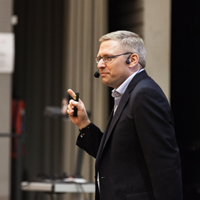 As part of the special event “Silicon Valley meets Karlsruhe,” hosted by Karlsruhe startup abusix, the KIT Entrepreneurship Talk with Dr. Guido Appenzeller took place on May 12, 2015. Dr. Appenzeller studied physics in Karlsruhe until 1996, writing his thesis at the KIT Institute for Anthropometrics and Robotics (IPR) with Prof. Dr. Dillmann. He then finished his doctoral dissertation in 2005 in the Department of Computer Science at Stanford University, where he was also an advisor as a junior professor from 2008 until 2010. The word “accelerator” often pops up in the founder scene. But what does “accelerator” stand for and what lies behind it? The purpose of an accelerator for founders, as the word suggests, is to get founders to their destination faster. There are two basic forms of accelerators. On the one hand, there are organizations or programs that have tasked themselves with supporting startups in a specific field or region. They run campaigns, competitions, mentor programs, and much more in order to promote startups, provide support with business building, build networks, and match mentors and investors with startups. The portfolio of well-known accelerators also includes offering spaces, such as co-working spaces. And example for this is the well-known German Silicon Valley Accelerator. On the other hand, an accelerator is a coaching program within a specific timeframe for selected founding teams during an early stage. Throughout an intensive process, the founders acquire diverse knowledge, continue to develop their business model, and are often supported by an experienced mentor in doing so. Oftentimes, the teams present their output to investors at the end of the accelerator program and thus get the chance to attract funding. The KIT Founders Forge and its partners offer a variety of forms of accelerator programs.